HA NOI (VNS) — Doctors from Viet Nam National Hospital of Paediatrics and Viet Nam National Heart Institute successfully replaced an inferior vena cava, the main vein in the stomach, and removed a tumour on a child who suffers from renal cancer. He was the first child in Viet Nam to receive the treatment. 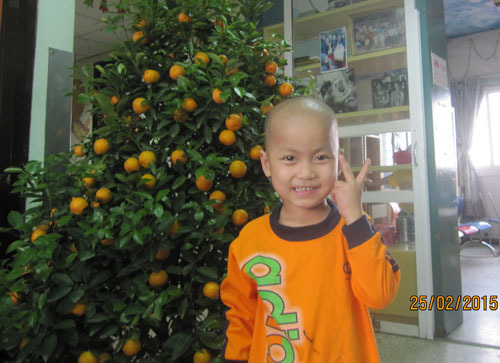 Hoang Van Truong, 5, from the central province of Nghe An, was diagnosed with renal cancer in August 2012. Doctors had removed the tumour, but a year later he got stomach-ache and was transported to the Viet Nam National Hospital of Paediatrics. They found that the tumour had metastasised to the inferior vena cava.